A work by Norwegian artist Edvard Munch will highlight Sotheby's fall auction of impressionist and modern art. 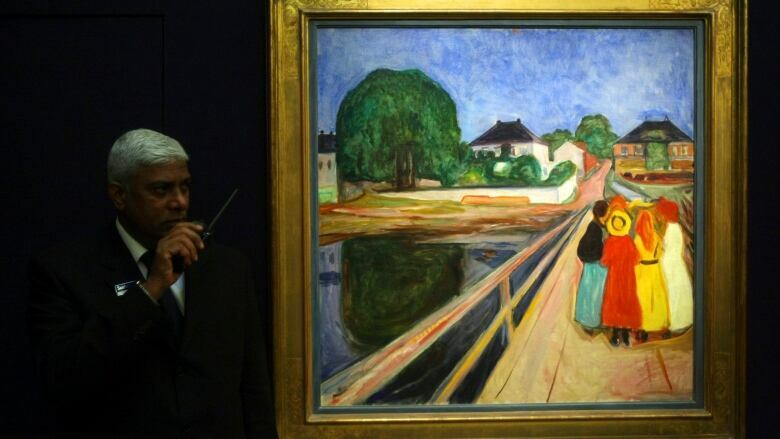 The auction house expects the painting, Girls on the Bridge, to sell for more than $50 million US on Nov. 14. The seminal work from 1902 depicts a cluster of girls huddled on the bridge of a country village. It sold in 1996 for $7.7 million and again in 2008 for $30.8 million, each time setting a record for the artist. 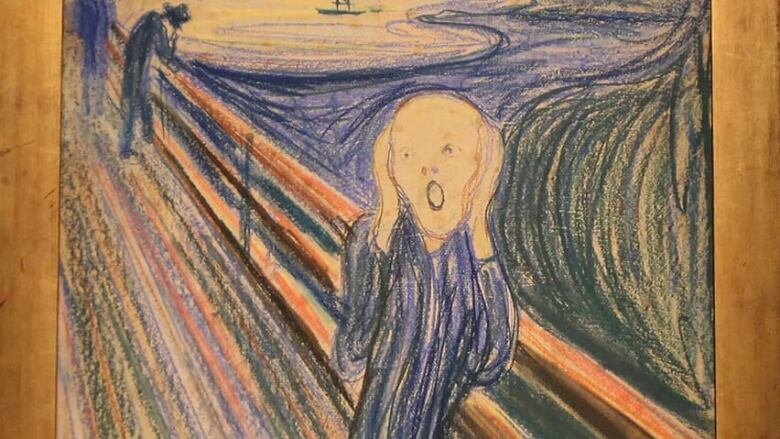 In 2012, Munch's work The Scream, one of the most iconic images in art history, sold for $119.9 million at Sotheby's. It became the most expensive artwork ever sold at auction, a record that has been broken four times since. Munch's The Scream sold for $119.9 million US at Sotheby's in 2012. Pablo Picasso's Women of Algiers (Version O) now holds that distinction. It sold last year for $179.4 million. 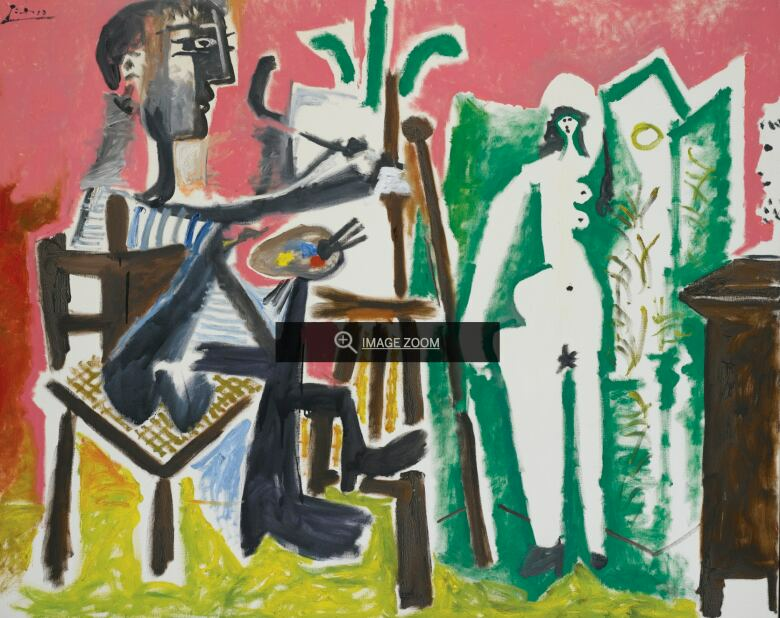 Other works in the November evening sale include a large-scale painting by Picasso, The Painter and His Model, from 1963. The 5-foot-wide painting has descended through the same family since it was acquired in 1968. It carries a presale estimate of $12 million to $18 million. 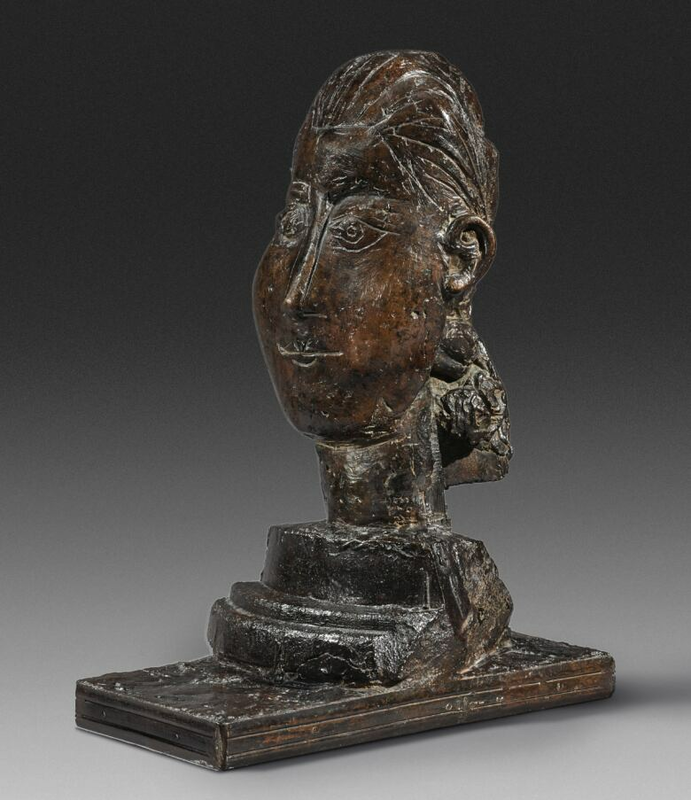 A 1951 bronze bust by Picasso of his lover and muse Francoise Gilot is also on tap. Head of a Woman could fetch $6 million to $8 million. An early cubist composition by Mexican artist Diego Rivera, Untitled (Cubist Composition), from 1916 is estimated to bring $500,000 to $700,000. The sale also has two abstract works by Laszlo Maholy-Nagy that recently appeared in a retrospective of his work at the Guggenheim Museum in New York. The 1923 work, EM 1 Telephonbild" has a presale estimate of $3 million to $4 million.